His story is humbling. 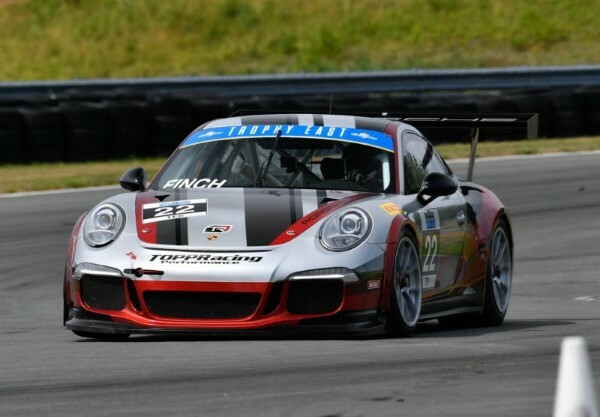 Ken Finch debuted in Porsche Club of America (PCA) and PCA Club Racing, after his employer offered him a reward for his hard work – an opportunity to complete the Porsche Driving Experience at Barber Motorsports Park. It was 2006 and Finch had just purchased his first Porsche, a 997. Like many, it only took one go-of-it. Finch’s desire to compete semi-professionally intensified after completing the program. In that time, Finch moved to the Fort Worth area and learned about Motorsport Ranch. Finch met Todd Opperman with TOPP Racing Performance through Motorsport Ranch. Finch achieved that goal and was determined to take his racing career, even further. Finch sold that 997 and purchased another 997, only newer to compete at a higher level. From there, Finch’s desire and passion for Porsche racing grew even stronger. He purchased a 997 in 2014 and was dialed in. The competition was so close that year that Finch was willing to risk it all in the season finale. After that season, Finch moved on to a 991-Cup car and won the championship that year. With his purchase, Finch advanced into PCA’s Trophy East Series. You may notice that Finch doesn’t compete on Saturdays. That’s largely due to his career and his personal beliefs. Finch attends church on Saturdays, a decision that limits his ability to start Sunday’s enduro-race in a competitive position. Finch doesn’t let his starting position define his weekend. He attributes his staggering success from his driver-coach, Erik Foss. Finch finished the 2018 PCA Trophy East Series, second in the TE6/M class. He will return in 2019 with the focus of earning the 2019 title.